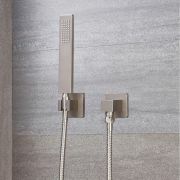 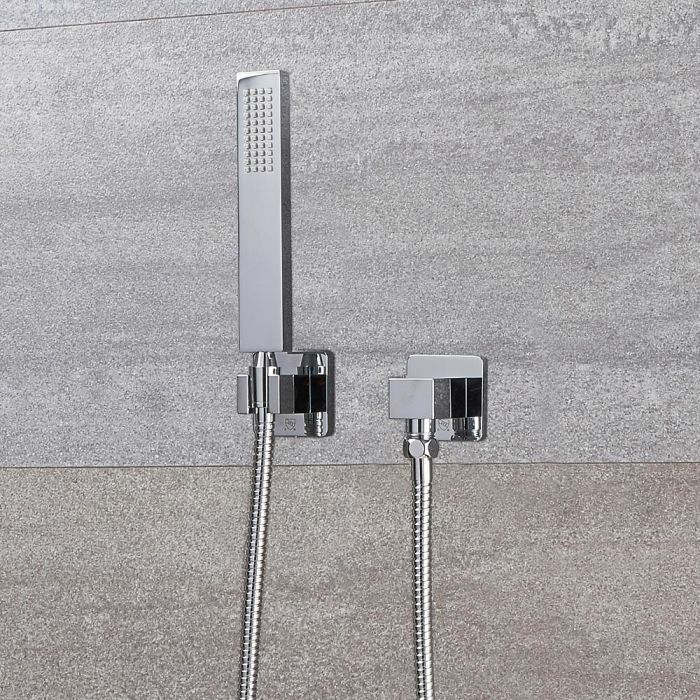 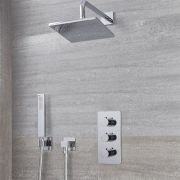 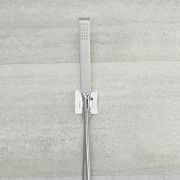 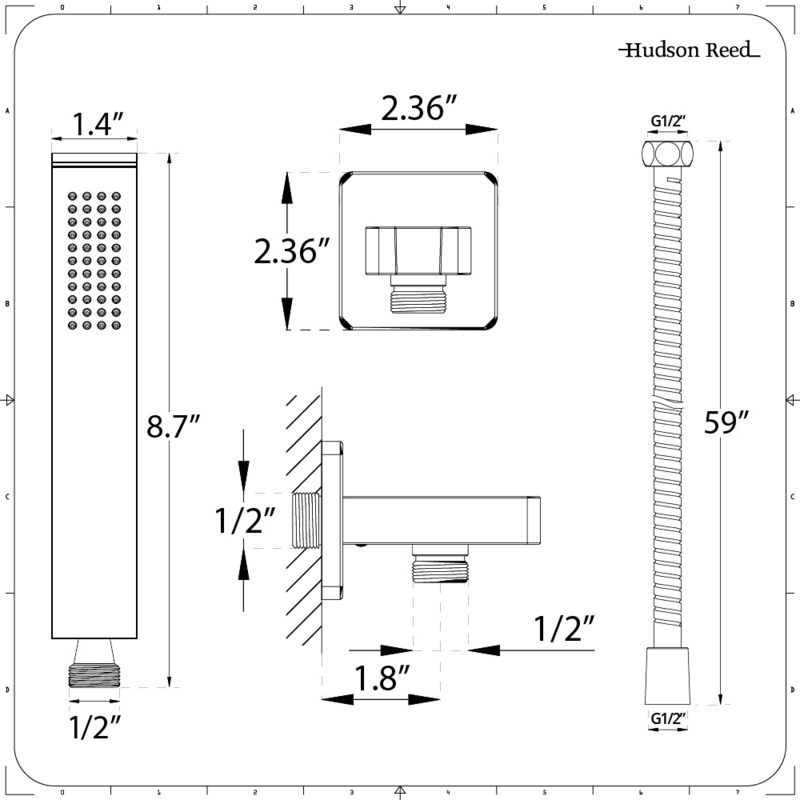 Upgrade your bathroom look with this Arcadia square shower kit with integrated outlet elbow and parking bracket. 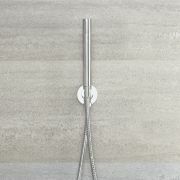 This shower bundle will provide an excellent, versatile showering experience. 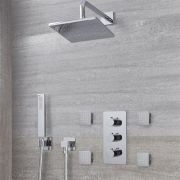 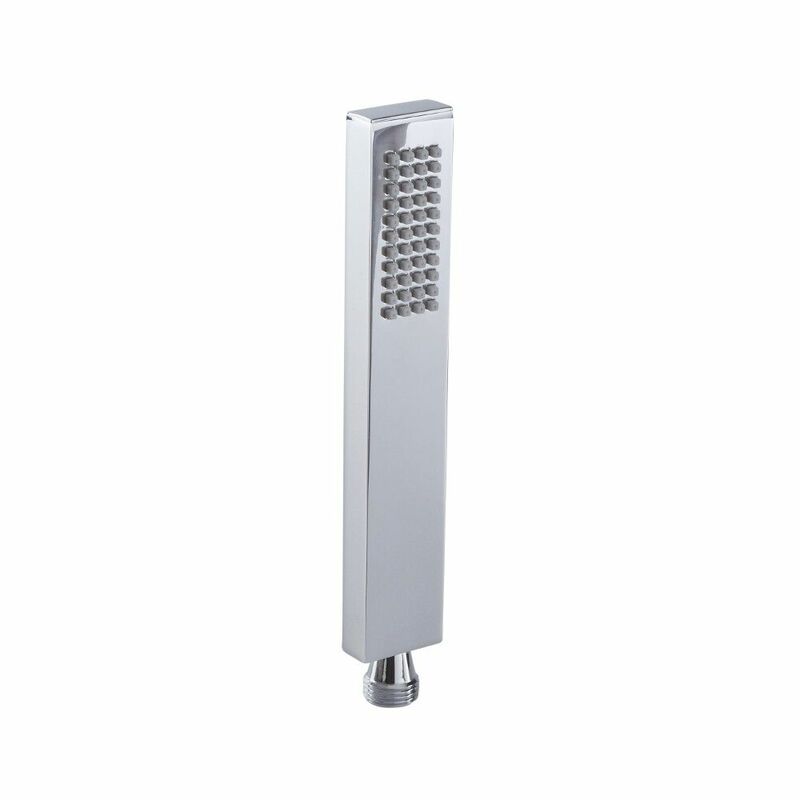 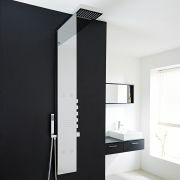 Each component boasts a stylish modern design and a brilliant chrome finish. 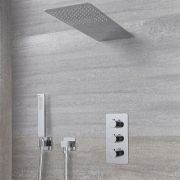 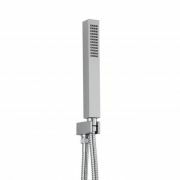 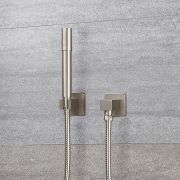 Each of the square shower handset, integrated outlet elbow and parking bracket feature a solid brass construction to ensure outstanding durability.